Memached is an open-source distributed memory caching system commonly used to speed up dynamic websites by, as the name suggests, caching data objects in RAM. 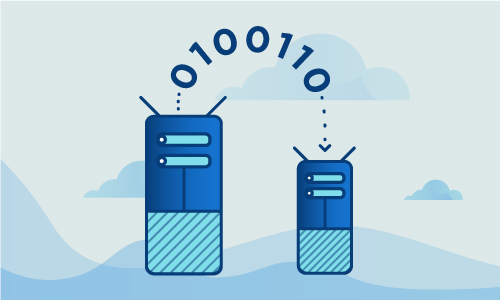 By caching the data in RAM, Memcached is able to reduce the number of times that the database or API must be read when performing operations on the website. Memcached is free to use and runs on Linux, OS X, and Microsoft Windows. Available under the Revised BSD license, it is possible to install the Memcached host-client infrastructure on your own Ubuntu 16 servers. This tutorial will cover the process of PHP session saving and replication for Ubuntu 16 on multiple Memcached servers. Kindly note that before proceeding, you are able to act as the root user on all three servers. All commands in this tutorial, unless otherwise specified, must be executed as the root user or using the command sudo (when possessing superuser privileges) to act as root. Throughout the tutorial, we will refer to the servers in our landscape using the following information in the table below. This information includes the hostname for each server, its Public IP, LAN IP, and the services that should be running on it. Make sure to refer back to this table whenever you may need to confirm which server an instruction should be executed on for a quick overview of the landscape. We will begin the process with the preparation steps that must be executed on all three servers. During this preparation, you will have to ensure that the system is up to date, the firewall is disabled, and the servers are running with the latest kernel. Finally, reboot the server for the changes to take into effect. Don’t forget to run all the steps in this section on all three servers before proceeding to the next section. This section will concern itself with the configuration of the node that you will use for your HAProxy load-balancer. 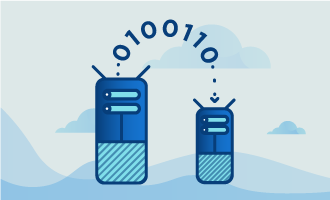 HAProxy is a free open-source software that provides load-balancing, high-availability, and proxying services for both TCP and HTTP applications. For the purposes of this guide, we will provide a basic HAProxy configuration that should be suitable out of the box for the majority of applications. Once you have set up your dedicated HAProxy node, you will now have to configure your two remaining web servers. The steps in this section will need to be executed twice, once on each server. Begin by installing the packages for the Apache web server, PHP, and Memcached using apt. We will also install some PHP extensions as well the PHP-Memcache extension. This package provides integration functions for Memcached into your applications as well as activating Memcached support in other existing applications. Be careful when typing the name of the PHP-Memcache extension. There is another library that is not suitable for the purposes of this guide that is named php-memcached. Double check that you are instead typing the name of the extension we need, which is php-memcache (without the letter “d”). This package is lighter and has less dependencies than php-memcached. Modify this file to include the following line with the a server name of your choice, which can represent the site or infrastructure. This will be used in order to easily and quickly identify the server. Save and close the file to proceed. Next, you will need to verify that PHP has been properly installed and that the Memcached library is present. You can do this by checking the output of the following command, which will call PHP with the -m option to show compiled modules, before passing the output to grep using a pipe (“|”). grep will search the output it receives for the term “memcache” and return successfully if it is found. Be careful that the memcache.session_redundancy parameter has a value that corresponds to one plus the sum of your configured Memcached instances. This means that if you have two Memcached servers, you will need to enter 3 as the value. Interestingly enough, this PHP bug has never been fixed despite being widely known. You will also need to repeat this process for the CLI-related php.ini file. Open the file for editing, delete the session.save_handler = files line, and replace it with the two lines specified above. This will be useful if you have cron (a task scheduler) jobs running PHP scripts that require session access. Please ensure that you have repeated the above steps for the two servers before proceeding to the following section. Both of the Memcached servers will need to be configured in order to allow Memcached to listed on their private LAN IPs. You will also need to modify the amount of memory that is allocated to each instance in this section. 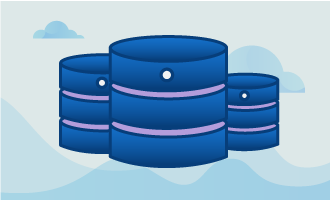 The goal of this guide will be to set both the servers to accept 1024 connections coming from Apache processes with a cache size of 256MB per server. Such a cache size is large enough in order to store thousands of PHP sessions in RAM and works for most applications. Note that for a heavy usage scenario, it will be necessary to increase the size. You will need to modify the file contents so that they match the following. Note that the IP listed must be the respective machine’s LAN IP that you are currently working on. Remember to change it when you repeat these steps for the second server. Remember again that all of the above steps must be executed on both servers in order for Memcached to run before proceeding. 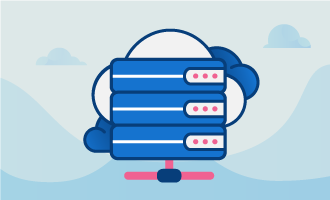 To ensure that our landscape has been successfully configured to the correct state, we will place a script on both the web servers that will help test the sessions and load balancing. More particularly, we will need to ensure that sessions are being created in the first place, and then that the sessions are being balanced between the two web servers. All the steps in this section must be executed on both the servers. Welcome from GloboTech! Thank you for visiting this server. This server has seen you 30 times. This server has seen you 31 times. If all looks correct, we can now confirm that the session is persisting across different web servers. With a second browser open to the same page, refresh a couple of times so that a session ID is created. These statistics for the servers show that activity has occurred on this instance, as expected. Both Memcached servers should have had activity and stored content. Still, it is important to note that while Memcached does utilize replication, it is not 100% fail proof. This means that if one of the two Memcached servers were to shut down, for any reason, we would not be able to guarantee that both servers did in fact contain the same exact sessions. However, if such a case were to occur, it is no cause for worry as the affected users would only need to login again to their accounts. Refresh the browser page you have open and observe the behavior. Does the visit counter continue to increase when you refresh the page? If so, then the failover setup is working as it should. Go to your webpage again. If the counter increases upon refresh, then you can safely confirm that your Memcached PHP session setup works correctly with both failover and replication. Congratulations! While setting up PHP session replication on multiple Memcached Ubuntu 16 servers is a lengthy process, it pays off in terms of the speed boost it gives to dynamic web applications you may be running such as WordPress or Moodle. Share this tutorial with your friends if you found it useful!